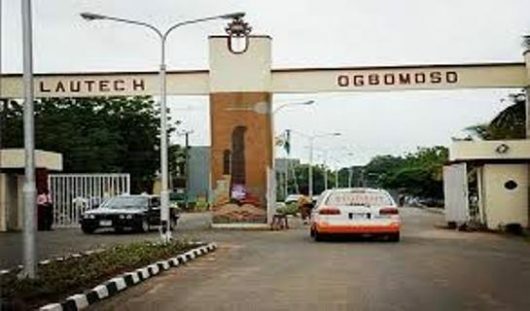 The Academic Staff Union of Universities, (ASUU) has demanded the resignation of Oyo State Governor Ajimobi Abiola and his Osun State counterpart, Raul Aregbesola over unpaid salary arrears of Ladoke Akintola University (LAUTECH) staff in Ogbomoso. The Benin Zonal Coordinator, ASUU, Prof. Fred Esumen made the call while briefing newsmen on the state of the University in Benin City. He said every worker is entitled to his wages and that when such is not forthcoming, the worker lacks the attitude to work. Esumen said one who employs staff and cannot pay for the services rendered to him by his employee has no business in employing a staff. According to him, “one would have thought that in an ideal situation, when a government and indeed any establishment engage workers, the workers deserve to be paid their wages. “This is not the case in LAUTECH where the two visitors to the Universities have shied away from their responsibilities and have conspired to deny the workers in that university their rights to wages. “It is therefore our view that what is left for these visitors is to honourably resign for not meeting up with what is expected of their offices”, he said. He decried the high level of neglect meted to the university co-owned by both states pointing that for both to have come together to resuscitate the institution from total collapse, they have chosen to establish additional universities in their own states respectively. “For the umpteenth time, our union ASUU, emphasized tha education is the fulcrum upon which growth and development of any nation revolves. Yet, education, is brutally neglected by our leaders in Nigeria. “In fact, the chronic underfunding of LAUTECH has manifested itself in so many ugly forms; viz, over-bloated students population, outrageous fee regimes, poor state of infrastructural facilities, inadequate staff development programme, unpaid promotion arrears and unpaid salaries of workers running into 10 months, etc”.